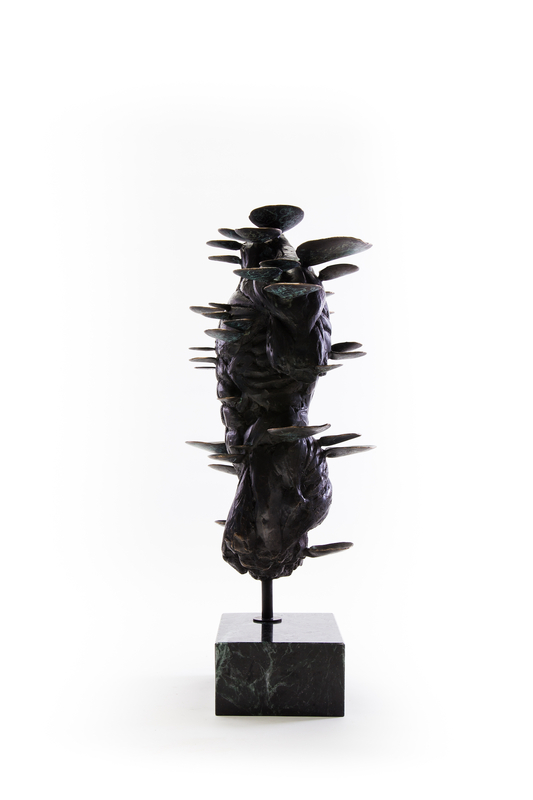 Stanislaw Trzebinski moved to Cape Town in 2012 to apprentice in sculpture and bronze casting and currently works out of his studio in Woodstock. The guiding thread of his work to date has been an exploration of the symbiotic relationship between humans and the natural world and draws on his intensive exposure to wildlife, cultural diversity and artistic engagement. Born in Kenya, Stanislaw spent his childhood escaping the bustle of Nairobi to explore the wilderness of the Rift Valley and the East African coast. Immersed as much in its rich cultural heritage of Arabic, African and European influences as in the beauty of its biodiversity, he learnt to speak fluent Kiswahili, track and dive. His is a family of compulsive creatives and eccentrics whose home virtually demands an appreciation of art from anyone who enters, filled with paintings by his late father Tonio Trzebinksi, artworks by close friends such as neighbour Peter Beard, books on art, found art and original interiors created by his famous fashion designer mother Anna. His childhood home was a living and learning space that invited artistic contribution as a primary means of self-expression. His talent was furthered by a high school art teacher who invited him to experiment with a wide range of mediums, from painting, collage and photography to welding and sculpting. 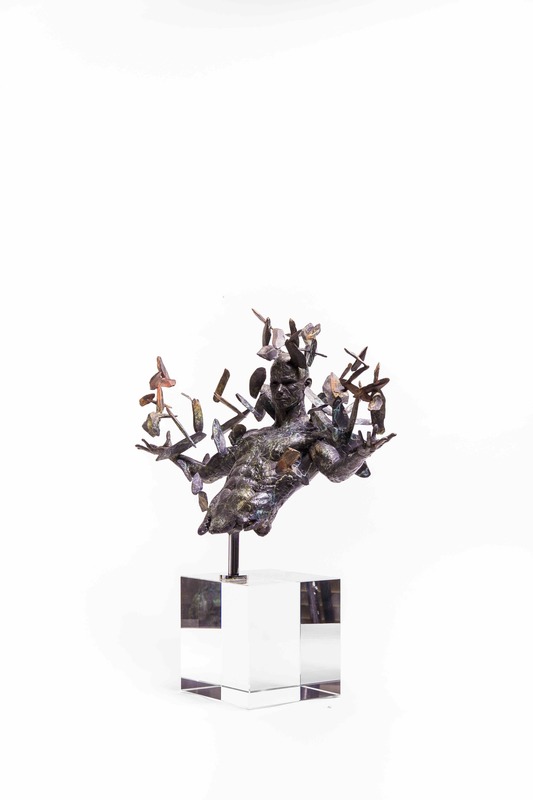 He was gradually drawn most strongly to sculpture and on the strength of his portfolio, briefly attended Pratt in New York where he came to the realisation that his creativity was intimately connected to Africa, its nature and peoples. As a young boy, apart from tending to his menagerie of 70 animals that included 35 different species of snakes, he spent summers diving off the tropical waters of Africas East coast famous for its mangroves, Coral reefs and marine life. His current series gives expression to that intimate connection with nature, and in particular to his fascination with marine life. 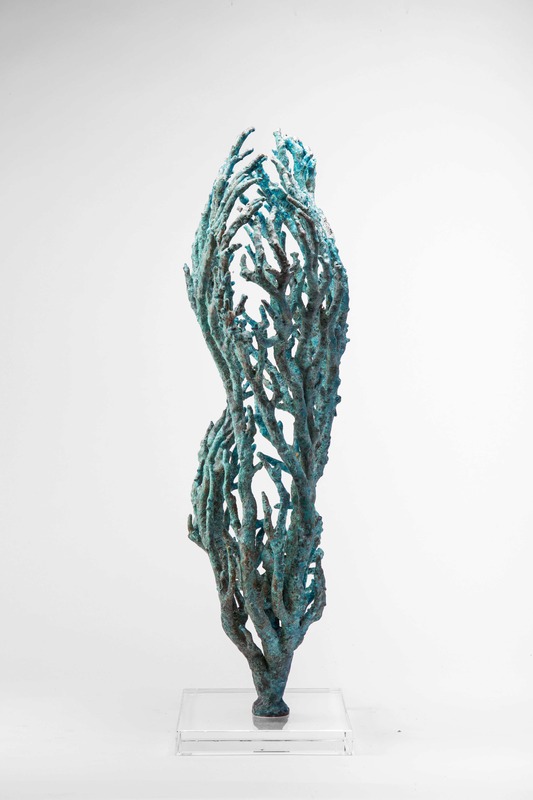 ‘When creating the Coral Series, I envisioned them underwater. 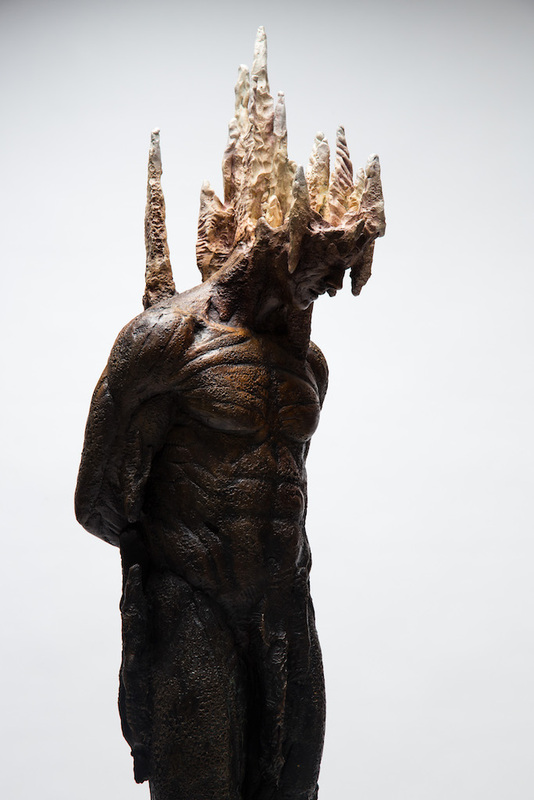 I wanted to explore the dissociation of the human condition from the natural world’, he explains, commenting on how he feels that this primal bond has been usurped by acting against the ancient belief of the interconnectedness of all things. ‘In spite of our total reliance on the natural world, we have become almost blind to it. 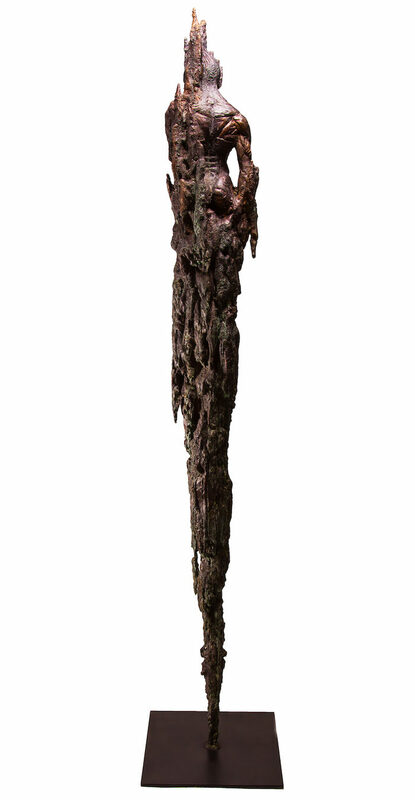 This notion of what lies beneath the surface is equally present in his anatomical treatment: by grafting textures from coral samples, shale, rock and organic shapes, onto a human anatomy stripped bare of its outer layers, he meshes the tissue of human and organic form. ‘Mythological figures were used to make sense of nature in a way that personified it, something which has been lost in all but primitive cultures today. 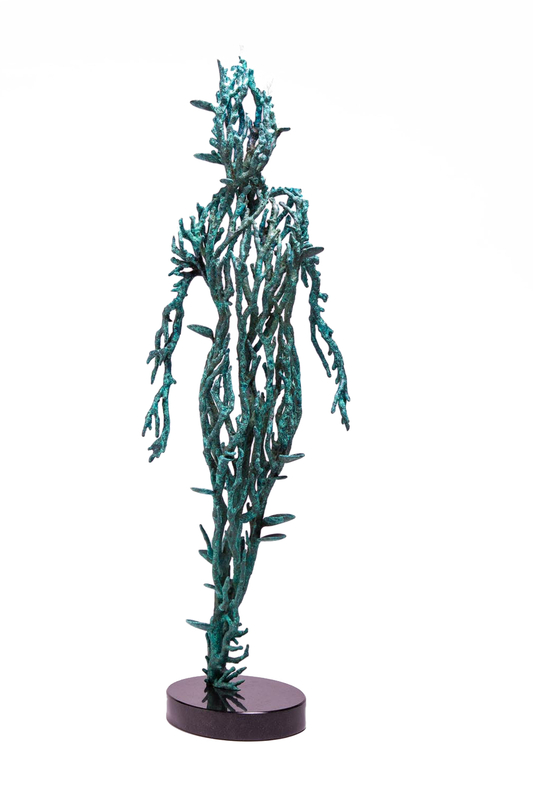 In a way, I am doing the reverse by ‘naturefying’ the human form’.